Today is short and sweet – I want to highlight and tried and true collection in my bullet journal: my layout to track my vacation days at work. Often times someone will suggest a trip and I wonder, “How do I track my vacation days? 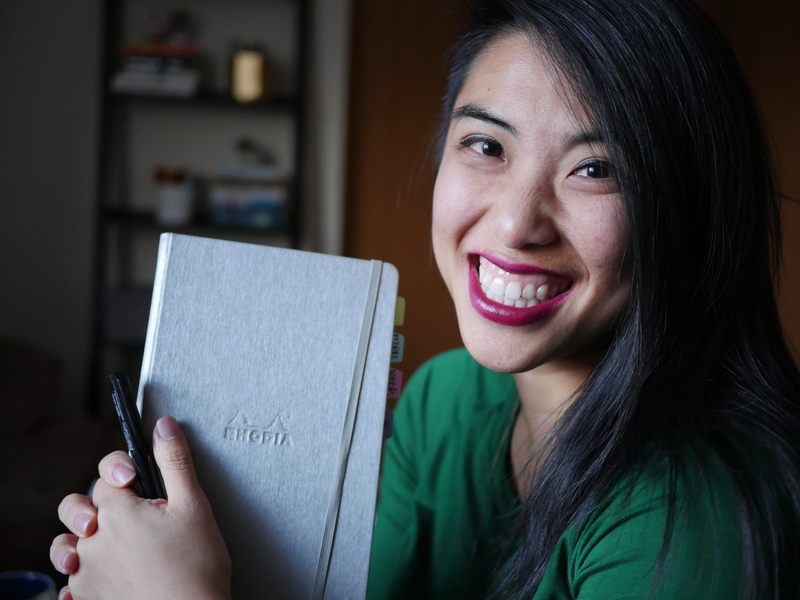 How do I know I have enough?” I’ve talked about it before when I’ve highlighted other collections in my bullet journal, but I’ll dive more into it. Yours certainly does NOT have to be this structured, but this made the most sense for me. With so many weddings and weekends I wanted to take, I wanted to make sure I was budgeting my time off from work appropriately. Since I accrue vacation each month I wanted to predict what I’d be able to take off. I start by outlining a few months out, with columns for 1) the number of hours I’m requesting off and 2) the new subtotal of total vacation hours I have left. Each month begins with a balance and ends with a balance. I start with a known number – the hours reported in my HR portal. From there, I start filling in the plans I have – a few weddings in May and June, trip in May, and so on, along with an estimate of number of hours I’d be asking off. I go month by month, subtracting hours I’ll be taking and adding the hours accrued. All of this is done in PENCIL so I can adjust as needed – often times I’ll end up taking a half day instead of a full day. At the bottom I have a “comp time” or “flex time” area where I track excess hours that I can make up for later. In there I jot down the number of hours and then check off when I’ve taken it. Even if you’re not taking off a whole ton of time, this helps me identify when I am or am not using my days off. If you have the privilege of racking up vacation hours (knowing the reality that not everyone does), I sincerely hope this spread helps you USE those vacation hours. The numbers show that Americans take the least amount of vacation despite working the longest hours. We are workaholics! We feel guilty for taking time off, feeling like we’re falling behind on the Mysterious Treadmill. Trust me, I definitely feel that. For me, planning gives me the gift of taking control of my life in ways that I can – through intention – which means it helps me live the life I want to. Part of the vision I have for my life is to enjoy it – to travel, to have a few longer weekends, to host friends when they are here and see them when they are not – and having the numbers stare me in the face really helps with doing that. For now, I’m saving up some hours to spend time traveling Norway and Sweden, but sneaking in some half days when I can to enjoy the fleeting summer days. How about you? What’s the next adventure you’re planning on taking if you can? Let me know down below if you have other ideas for tracking this type of thing! Great idea since the coming and going of hours can be a tough calculation sometimes! I completely agree! And I barely get it right as it is! Thanks for the idea, so simple but effective. Yes! I’m planning on going to Norway next year ☺ where are you hoping to go on your breaks? This is so helpful! I have accrued nearly 200 hours, I need to use them up! Oooh girl you could basically go on sabbatical!! Haha how do you think you’ll use the days? You Know, there’s nothing wrong with that! If hats how you want to spend your day, do it!